Adding to the sweetness of this victory, Netflix was able to lure DreamWorks away from signing an exclusive deal with HBO instead. This marks the first time in history a content provider has chosen a web streaming service over a premium television channel. According to DreamWorks, they made went with Netflix because streaming is the future of content delivery. DreamWorks is estimated to receive $30 million per title through the deal. Predictably, customers revolted at the price hike, and the company believes that it will lose approximately 1 million subscribers due to the increase. To make matters much worse, Netflix’s stocks have lost half their value – about $8 billion dollars – in the past two months due to its sudden villain status among movie watchers. Then, inexplicably, Netflix CEO Reed Hastings recently announced that Netflix will divide its streaming and mail-order DVD rental service into two entirely separate businesses, which, says Hastings, is the way it’s been internally at the company for some time. 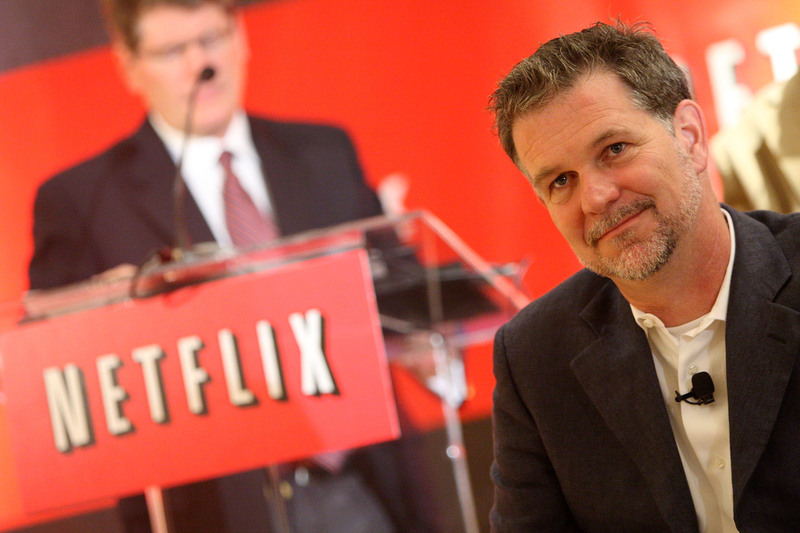 Netflix will handle only streaming, and a new company, Qwikster, will serve the DVD customers. Given the foul mood about Netflix that already permeated the general consensus, the split in the business was not well received by customers. Whether or not the DreamWorks deal will win back a few disgruntled fans remains to be seen, of course. But it’s not likely to make the dent needed to change the dismal direction the company’s been headed over the past few months. Still, Netflix – the streaming-only company — lives or dies on its ability to pack its catalog with as many popular (and recent) movies as possible. And adding DreamWorks – both for its movies and its confidence-building support – only serves Netflix well.